Wilsons Promontory Marine National Park protects a rich mixing zone of warmer eastern Australian waters and the colder waters of Bass strait to the west. This blending drives high biodiversity and supports many creatures across the park's sheltered bays, subtidal rocky reefs, kelp forests, and intertidal habitats. The coastline features beautiful sandy beaches, granite mountains and cliffs. The deep waters of Wilsons Promontory Marine National Park feature colorful sponge gardens, corals, and abundant fishes. Its diversity of sessile invertebrate communities is comparable to that of the Great Barrier Reef. Wilsons Promontory Marine National Park is a refuge for leatherback and green sea turtles, great white sharks, humpback and southern right whales, and fur seals. It is considered a significant area for great white shark population recovery in Australia. Twenty-five shore and seabird species of conservation concern have also been sighted in Wilsons Promontory Marine National Park. Wilsons Promontory Marine National Park was established in November 2002, and it is the largest marine protected area in Australia’s Victoria state. The park is one part of the state system of 13 Marine National Parks and 11 Marine Sanctuaries. These marine protected areas are managed by Parks Victoria’s South Gippsland District management team in partnership with the Environment and Science Division as part of the strategic statewide MPA program. Parks Victoria also works closely with the Victorian Fisheries Authority in undertaking compliance activities, particularly in regard to surveillance for illegal fishing in no-take areas of Wilsons Promontory Marine National Park. 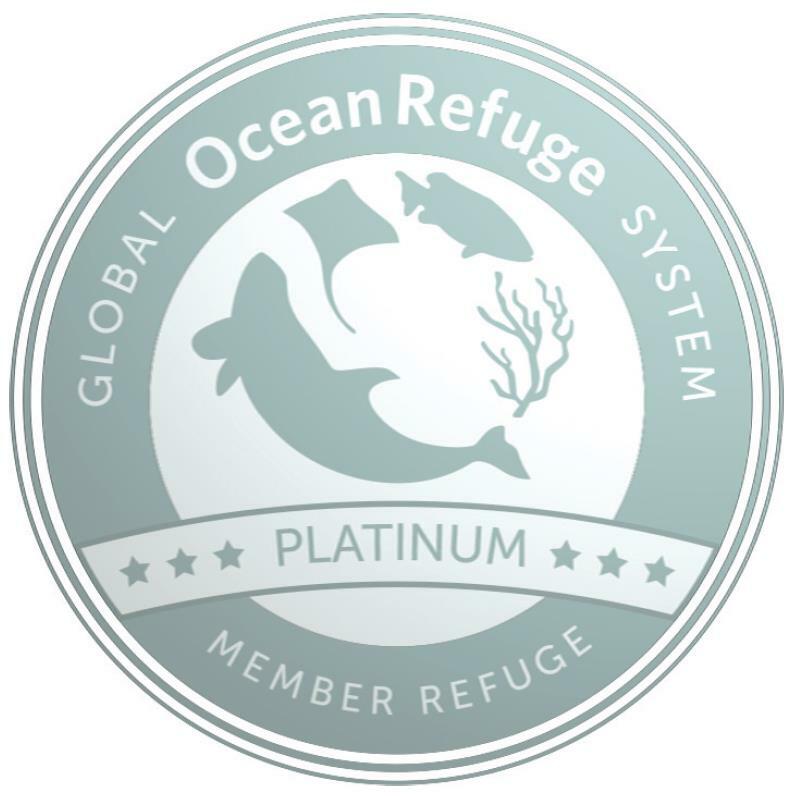 The Global Ocean Refuge System (GLORES) is a Marine Conservation Institute initiative working to build a global network of effective marine protected areas to save ocean wildlife. In 2018, GLORES grew to include 10 blue parks around the world. Wilsons Promontory Marine National Park is a diver’s paradise, featuring spectacular underwater scenery. Granite cliffs plunge below the surface and deep reefs are covered in sponges. Its small islands are home to colonies of penguins, seabirds and seals. Wilsons Promontory Marine National Park is Victoria’s largest Marine Protected Area at 15,550ha. It extends along 17km of mainland coastline and is located around the southern tip of Wilsons Promontory. The coastline here is absolutely stunning, with beautiful sandy beaches, granite mountains and cliffs with a backdrop of rugged picturesque offshore islands. There is a huge diversity of marine life within the waters at the Prom. Brilliantly coloured fish are present such as the Red Velvetfish, Eastern Blue Groper and wrasse as well as Leafy Seadragons and schools of Barber Perch. Intertidal molluscs such as limpets and snails, as well as anemones, brittlestars and seastars, are also common within the waters. Divers will experience fascinating sponge gardens which consist of a technicoloured assemblage of sponges, sea tulips, sea whips, lace corals and seafans. Octopus emerge at night whilst sharks and rays roam the sandy areas. The offshore islands support many colonies of fur seals and oceanic birds such as Little Penguins, Fairy Prions, Silver Gulls and Pacific Gulls. The Wilsons Promontory Marine National Park is a 15,500-hectare (38,000-acre) marine park in situated off the southern tip of Wilsons Promontory , Victoria, Australia . [ 1 ] [ 2 ] It extends along the coastline from Norman Bay, near Tidal River , in the west around the southern tip of the promontory to Cape Wellington in the east. It extends offshore to the Glennie and Anser groups of offshore islands. fishing info: All fishing is prohibited.